Hey! Your friend’s wedding is around the corner and he requests you to be the best man? Your best man speech has to be brilliant! Believe us, writing the best man speech is much easier than you think. Read our article for examples, useful recommendations, and even templates to help you! For a great wedding speech, there are some simple rules you have to follow. Here are examples of best man speeches Dos and Don’ts. 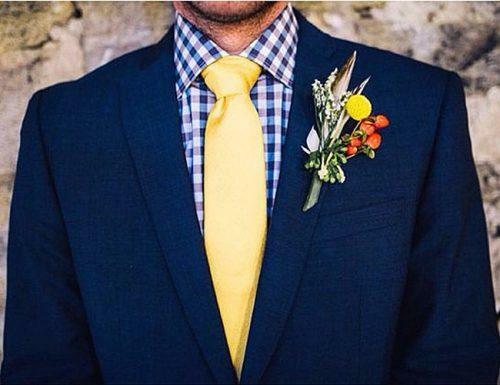 Plan your speech ahead (think about your best man speech structure, choose formal or funny style) and practice. Tell a short story (keep the speech to about 5 minutes or less) with jokes (2 or 3 will be enough). Memorize your speech. Don’t read from paper. Let it flow. Get sentimental at some point, make compliments to the bride. Finish on an optimistic note (end your speech with love quotes or wishes for the happy couple). Be thankful (express gratitude towards the couple, their family, and anyone who helped make the wedding happen). Do not cross the 2-5 mins time limit. Do not ignore the bride. Let her know how happy you are, that she is ending up with your friend. Avoid rude remarks. Keep your manners in check, even if it’s for a day. The opening words of your Best Man presentation should grab everyone’s attention. If you favor a romantic approach on how to start off a speech, you can start with a statement like, “True love wins all,” and then list the various ways the Groom, through his true love for his Bride, has won all her attention and affections. Be intent and clever with the use of language, and you will achieve better engagement with your audience. This popular line has been repeated in many variations by countless poets and songwriters ever since, so have no fear of labeling yourself as an egghead when quoting it. This opening line will also give you a chance to mention the main virtues and attributes of the Bride. It is always appropriate and appreciated if you thank the other speakers for the occasion. 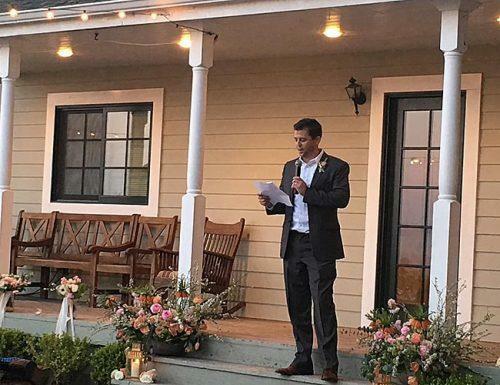 These speakers usually include the Maid of Honor and the Bride’s Father as well as any other members of the wedding party that the Bride and Groom ask to speak. Regardless of how thoughtful or meaningful their remarks may be, how well they speak, or if they understand what are the ideal best man speeches for brother, it is always good form to express your gratitude for their contributions to this special moment and event. Never criticize or make jokes about what they say or how they say it. Just thank them politely and continue with your own remarks since you know very well how to write a best man speech. Congratulate the wedding couple on this exciting first chapter in their lives together. This is the ideal time to tell the guests how you met your great friend, the Groom. 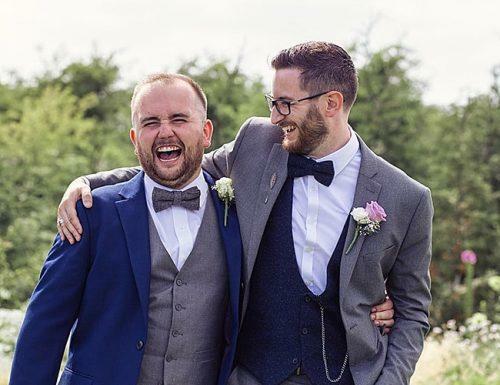 If you happen to be the Groom’s brother or cousin, you can recreate moments of hilarity from your younger years together or shared experiences of suspense or intrigue. You may even borrow an idea or two from a father of the bride speech template for praising the Bride. Recalling funny incidents or telling best man speech jokes involving the Groom is totally acceptable, so long as you keep the format and content clean and respectable. Everyone loves a long-term secret revealed as an engaging tell-tale about the Groom, but it should be told with taste and panache to complement the fashion and flair of this special event. There are myriads of inspirational speech topics that will suit this joyful occasion. Now it is time to pull out the stops and give high praise to the Bride using your knowledge of how to write a best man talk. Highlight and emphasize her finest qualities, talents, and accomplishments. In words of honest sincerity, let the wedding guests experience the true admiration you have for the new wife of your best friend, blood brother or another close relative. Let them know just how overjoyed you are to celebrate the marriage of these two special people of whom you think so highly. Then give the Bride another charming compliment using top quality speech writing tips. Take time to read some messages from invited guests who could not attend the wedding. This gesture is always appreciated by the absent guests and the Bride and Groom, alike. It also includes their congratulatory thoughts and best wishes for the newlyweds in the day’s special events. Enchant your attentive audience of wedding guests further by reciting a well-known quote or poem that suits the occasion. This adds a creative literary element to the post-wedding celebration for the honored couple. You may want to consult other templates, including a listing of groomsman speech examples. You may choose a quote from the Groom’s favorite writer, artist, scientist, philosopher, business mogul or sports figure, or just pick a quote that suits the occasion. Again, keep it tasteful, brief and to the point so everyone present can enjoy the full meaning and intent. You may find appropriate lines in an expertly written brother of the bride speech. Raise your glass of champagne so the guests can eagerly follow your example as you deliver a heartfelt toast of optimistic good wishes for the excellent health, increasing wealth and everlasting happiness of the newlyweds. The toast should be given with gusto and true sincerity and may include mild best man speech jokes. Remember that you speak for all the well-wishers in the room who want all the best for this newly married Bride and Groom, so put your best energy, spirit, and talents for convincing elocution into this featured Grand Finale. 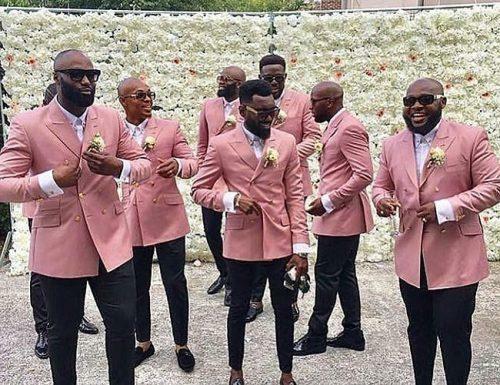 Unless you accept an invitation to be Best Man in a wedding party on short notice or are filling in at the last minute for someone else, you should start devising your Best Man remarks no less than two months in advance of the wedding date. You may have a busy work or academic schedule as well as unexpected events on your own plate before the wedding. Also, in the days approaching the marriage date, you must attend suit or tux fittings and various parties and get-together events involving the wedding party, including the Groom’s “Bachelor Party.” When you prepare your speech well ahead of the special day, you will be more relaxed on the days leading up to this special occasion and use of your introduction speech example. Remember, there are countless ways to start a speech. Making jokes about the Groom is totally appropriate and even expected in your Best Man remarks. When done in good fun, with humorous wit or by recounting moments of hilarity due to mishaps or failures on the part of the Groom, you will delight and entertain the guests without insulting or embarrassing the wedding couple. However, the Bride is considered beyond reproach, criticism or humorous finger pointing on this very special day. She is to be honored, lauded and applauded while the Groom is open to light, fun-loving critiquing, joke-making and laughter. Keep your remarks emotional and engaging yet tasteful from start to finish since you know how to write effective best man remarks. Practice your speech repeatedly in front of an audience. Even if your audience is your infant son or daughter or your loyal cat and dog, this will help prepare you for delivering a well articulated, meaningful presentation on the wedding date. It can be very helpful to make a video of you giving your talk with your cellular phone, tablet or laptop so you can study your performance and improve your intonation and overall delivery. By emailing or texting it to a trusted friend, you can also get valuable feedback for giving an unequaled, star-studded speech as Best Man. By writing your speech out in full, you will gain more from reading and practicing delivering it. Giving your speech from memory on the wedding day is fine if you have a good, reliable memory. Most Best Man speakers find, however, that committing the major thoughts, emotions, and points of your speech to memory and then speaking from the heart will result in a more convincing and meaningful presentation. If you have worries about forgetting parts of your talk, you can easily keep short notes on your cell phone to go over briefly before you speak. Some speakers use small notes the size of post-its that can fit discreetly in the palm of your hand for easy prompting. By varying the pace of your speech as well as its tonalities and emotions, you will capture and hold your audience’s attention. Some parts of your talk will flow better if delivered rapidly, while others will gain meaning and value when spoken more slowly. Varied pacing of your words will also help you emphasize and enhance the emotional content as it relates to the Bride and Groom on their marriage date. When you vary the tone of your delivery, the wedding guests will grasp the true feelings your speech is meant to convey, and they will become fully attentive and more responsive to your thoughts and expressions. When you deliver your remarks with genuine confidence and true clarity, the guests will listen attentively to your words. 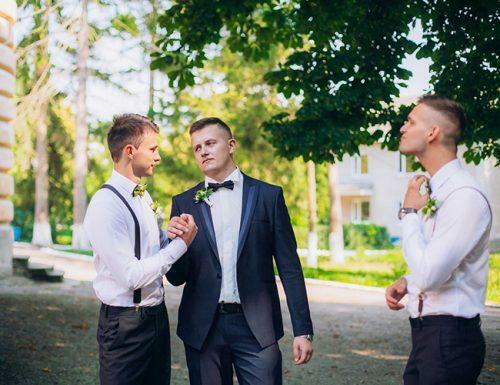 Sincerity is contagious, and your audience will catch and embrace your own strong affections for the Groom, your long-time best buddy or loyal brother. They will also respond enthusiastically to your admiration and praise for the Bride and your joy at the marriage of this unique, special pair, especially when you speak clearly and concisely with true conviction and honesty. As a speaker, it is always wise to have a Plan B in mind. Suppose you lose your speech or your notes on your way to the wedding ceremony and reception-party to follow. Perhaps you opened your car windows and your speech or notes blew away, or maybe you forgot your cell phone with wedding speech notes at home due to your excitement about the coming events of the wedding day. In any case, you should always have an alternate plan well at hand. 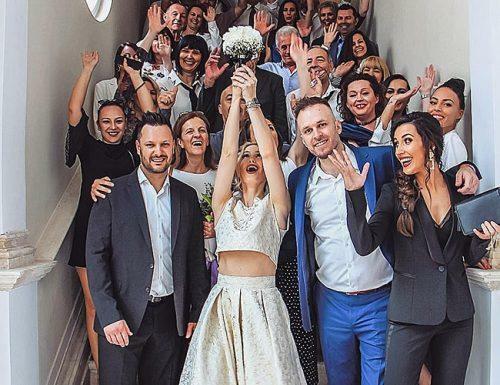 You can always compliment the Bride and tell a funny story or joke about the Groom, and then invite the guests to join in celebrating the newly married couple. Everyone will be happy and appreciative, unaware of your mishap. 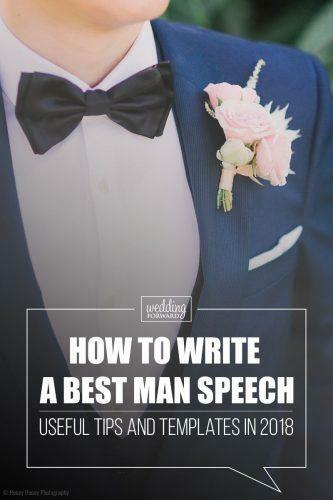 Click HERE to download free printable templates of best man speech! “Ladies and gentlemen, thank you all for coming out tonight to celebrate the wedding of two people we all love, [Bride] & [Groom]! “Adam and Kate – What a great day to get married! Marriage carries new responsibilities. Kate – from now on, you should never argue or disagree with Adam, because he is now the head of the family and the king of his castle. You will be expected to keep your hair and make-up perfect at all times – to dress in a way that pleases Adam. You should cook his favorite meals every night and encourage him to go out with his friends on a regular basis. Do these simple things and your marriage will be blessed with many years of happiness. Kate – I know that Adam loves you very much… because he spent a long time writing this speech for me. “Sarah & Simon – every great relationship starts with rings. In the beginning, the phone would ring and just the thought of speaking to one another was exciting. Your love grew and so did your commitment to each other. The engagement ring soon came after. There were no doubts… your love was true. The engagement ring has now turned into a wedding ring and we are all here today to celebrate your marriage. “Hi my name is Paul and Neil has asked me to be his best man for this wonderful occasion. I would like to say it is a very special honor but with it, comes the responsibility of giving the bloody speech. I would not say it is very comfortable to wear a tuxedo in a 30-degree church, which is not air-conditioned. The church ceremony I’m sure you’ll all agree was a wonderful, wonderful occasion. Maybe a little hot, but I’m glad to see so many of you have replaced your electrolytes with fuel of the alcoholic kind since the reception began. I have known Neil and Claire for_________ [how many years] years. You might say Neil and I met by accident, but it is no accident that Neil met Claire. If you know Neil you know he is an excellent athlete, in fact I noticed his Athletes foot right away. This was a man who had his knees and ankles shaved, for easy taping. I knew this was a hard-core sports fanatic. We both share a tremendous love of football and basketball. For many years, we have had a running bet during the season as to who will score more goals or more runs which of course, I always won. Neil is a ______________ [Groom’s Occupation] in Truro, and I thought_________________________________________ ______________________________________________________________[Funny or quirky aspect about grooms occupation] Neil is a man who has dedicated his life to __________________[Grooms occupation] And now I’m sure will use his experience with ___________________________[what the Groom does in his occupation] in his marriage with Claire. It is great that Neil found Claire. He has always been looking for someone young, dynamic, intelligent, attractive, and with good health insurance. Neil and Claire met_________________________ [where they meet], But I have it on good authority that Neil started looking for a wife on the internet. And with a multitude of resources at his fingertips, he found some really great stuff, but sadly was unable to find himself a suitable partner. That is, until I mentioned to him that the correct category to be looking should be Woman Seeking Man. I explained the way it works, send an old picture when you still had lots of hair, lie about your height and weight, and at all other times be sincere and honest. I imagine that when Neil and Claire met and introduced each other he said I’m Neil and she said, “I need a Diamond.” So, Neil said, sure let’s pick one out. Claire is a Diamond. Neil is a gem; I think together they make beautiful jewellery. Love, honor and cherish each other, and don’t forget to take out the garbage. Just in case she is not right, refer back to #2. Always, yes always, notice every new hairstyle or dress. If she asks if something makes her look fat the answer is categorically, NO. Flowers are always a good Idea, even if you are not in trouble. There is really nothing better than a good foot rub or massage. Your wife is more important than sports. I guess. Even the cup final. It is a great joy for me to see Neil and Claire so happy. You learn things when you get older. Hmmm, I mean more mature. You make better decisions, isn’t it great that two people would entwine and commit to each other for life. Love, isn’t that what it is all about? We are here to celebrate that glorious event and this ceremony is all about letting the world know how much Neil and Claire’s love for each other is a reflection of one’s own soul in another’s. Anyway, it is time to celebrate the joyous and unbridled love that these two spectacular people will share the rest of their lives. Would you please stand now and join me in a toast. One-liners are sharp jokes delivered in one sentence. A good one-liner is concise and meaningful. It is instant but loaded with humor that can keep the guests laughing for a while. It is important that the best man speech jokes contain one-liners. I am about to make the groom cry. I just received the food bill. I know the groom well. He is smart, tall, kind, generous….. Who am I actually talking about? Hi, the groom is a great friend. Our friendship is 2hours old. I was hired as he’s got no friends. His colleagues describe him as a first-class banker- I may have misheard them. I heard some time that marriage is a 50/50 affair. Believe that at your own peril. We have factors called women and improper fractions. I asked for a microphone and none was available. If you can’t hear me from the back, follow the reactions of those at the front. My palms are wet, I am nervous. I’m sure my fear can be felt 10yards away. Dear groom, you’re a good and great man. You’re loving and kind and….. Please groom, could you read out what you wrote here? To be honest, I don’t have any good thing to say. Give me a round of applause as I go back to my seat. This has been a beautiful and emotional evening for us all. Even the cake is in tiers. “Since I have everyone’s attention I’d love to say a few words to this amazing couple sitting right in front of me. For those who don’t know me, I’m Ed. Mike’s closest friend and sidekick. We’ve known each other for about 11 years and have been on many adventures together. During that time, I got to know him well and can honestly say, he is the most selfless and stand-up guy I’ve ever met. I am thrilled to be standing here and celebrating him and his beautiful bride, Linda. “Good evening, hope everyone is having a good time tonight. I feel very privileged and honored to be standing here tonight celebrating this lovely union. Two years ago, Matt gave the best man speech at my wedding and made a lot of awkward jokes. So needless to say, I’ve been waiting for this moment for a really long time! For those who don’t know, I am Matt’s brother, Mike. I first met Matt when I was two years old at our parent’s house in Boston. To be quite honest, I wasn’t thrilled because I really wanted a sister. And I think he knew because Matt would do ridiculous things like throw my toothbrush in the toilet, pour water at me when I was asleep and run across the room naked when I had any friends over. This made me less popular than I already was. 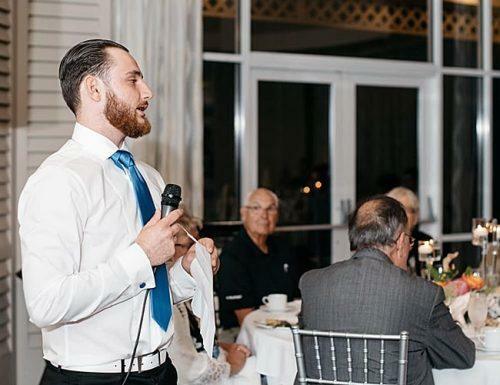 There is truly something for everyone today to create the perfect Best Man Speech for that very special couple and their after-wedding reception, dinner, and celebration. Fond remembrances, amusing stories and anecdotes, humorous quotes and emotional phrases end with the joyful ring of a clever, yet heartfelt Best Man Toast to the Bride and Groom. The contemporary wedding is truly a work of love and art with all the trimmings and enticing treats for one and all to treasure and enjoy. Here is a concise visual infographic that brings together everything that we have mentioned in this article.